Mountain biking around my home is really pretty nice. I can be on trails, hard pack, or dirt roads within minutes of leaving home. I try to ride everyday. I doubt I’ll race again – but I might. I think of racing every time I train. The fact is, I ride (and run) as part of an archery fitness plan. At 63 years old I want to compete against seniors although the masters archers are pretty tough to beat. Part of that desire requires I stay fit. I don’t want to end up with high blood pressure and need to take beta-blockers to manage as aliment when fitness and weight management can help reduce the risk of getting high blood pressure. Beta-blockers are banned in archery. Still, there are a lot of archers competing while using beta-blockers. Aside from that cycling off-road is a lot of fun. 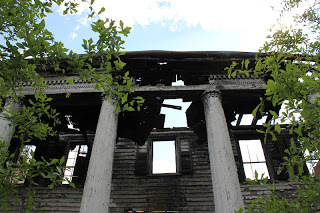 While riding in a wooded area I discovered what appeared ruins of an old mansion. 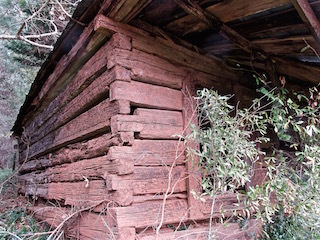 It seemed to be more than just a run down old house. 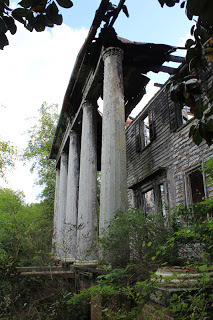 I circled the ruins and rode around trails that were on what seemed to be old property to a large estate. 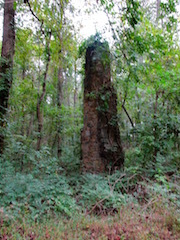 When I got home I searcher the Internet a learned the ruins are the remains of the Casulon Plantation that burned in 2002. What a shame. The estate was incredible. The Internet report indicated that the couple that owned the Plantation was going through a nasty divorce. The couple was out of town when the Planation burned. Arson was suspected. 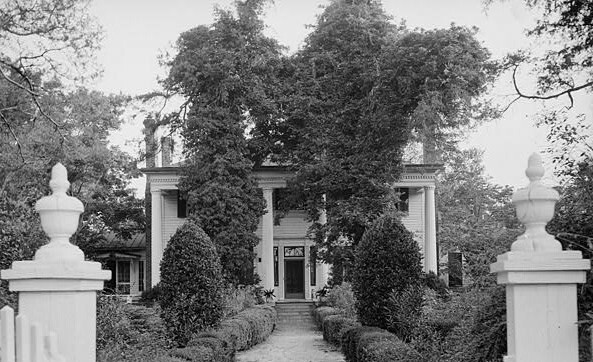 It is awful for Georgia to have lost such a nice old home. Mountain biking is one of my cardio programs used for fitness, which is part of my archery training. 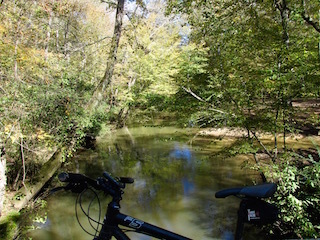 It is fun to get out on a bike ride through the woods. You never know what you might discover. Well, I go slowly. It feels great. I look forward to it. There was a time when I was extremely flexible. I studied karate for years and I stretched a lot. Cycling took place of karate and it wasn’t long before I lost most of that flexibility. I still ride a bike. I am no longer as limber as I was during my karate phase. But, I realized that flexibility was an importance adjunct to overall fitness. As we age it is easy to neglect flexibly. Well, so are strength, balance, and endurance fitness programs. It is easiest to do zero exercise. You know this is true of most folks as suggested by the current state of obesity in America. For you, an archer, all four types of exercise are more important that you may think – especially if archery is your primary (only) form of fitness training. As an archer it is a good idea to have a plan that includes flexibility along with your balance, strength and endurance adjuncts to shooting. A stretching routine need not take a long time. I get all main muscle groups in about 30 minutes. Since I do this first thing in the morning I move slowly and feel tightness slipping away. There are a number of sights online where you can find more about flexibility and stretching. As this site develops I’ll add my routine if you’d like to follow it. 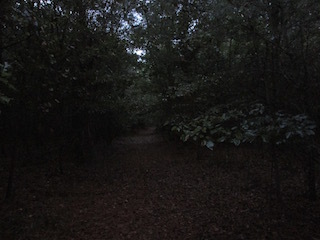 Lately, most of my running has been done in the dark. 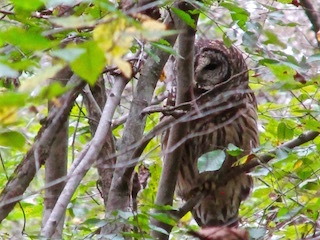 I am usually cruising through the woods before sunrise. That may change when we switch to daylight saving time. 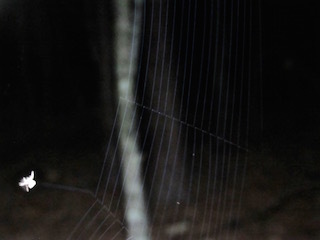 I like running trails in the dark. I like running trails in the light. Either way, trail running is more appealing to me than pounding pavement. There are a few things to do when running in the dark that are less significant issues when running over trails in the daylight. You need to be aware of how you plant your feet. You need to lift and plant a bit more slowly. Otherwise, you could snag a foot and trip. 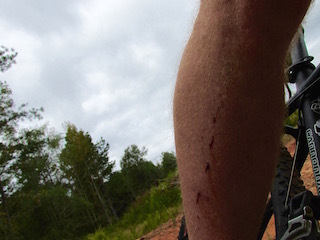 If the trail is tight don’t run into a tree. 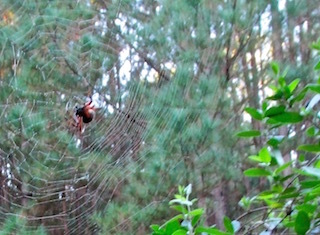 You aren’t big enough or fast enough to run through a tree. 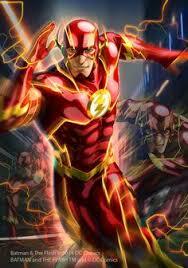 You are not The Flash. Trees will stop you. Wear glasses with clear lenses so you don’t poke an eye out on a low limb. You should have a good outdoor bearing for direction. 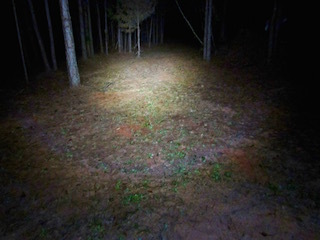 Trails coming and going don’t always look the same in the dark. Have a good headlamp and fresh batteries. 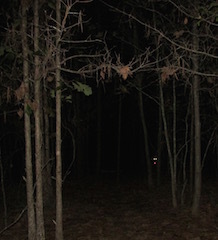 Bring a spare flashlight just in case. During hunting season light yourself up. More than one light isn’t a bad idea. If you are running with a dog, put a red light on her collar. Try to run where you know no one is hunting. 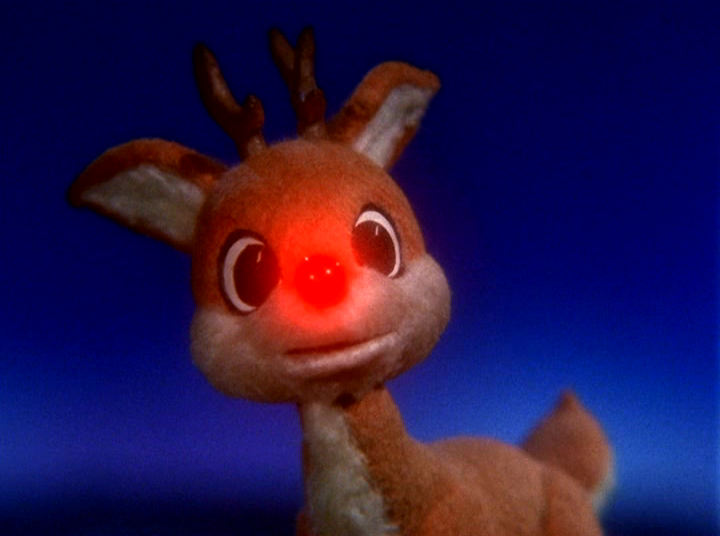 You don’t want to get shot because some idiot thought your dog’s red light was Rudolph’s red nose. 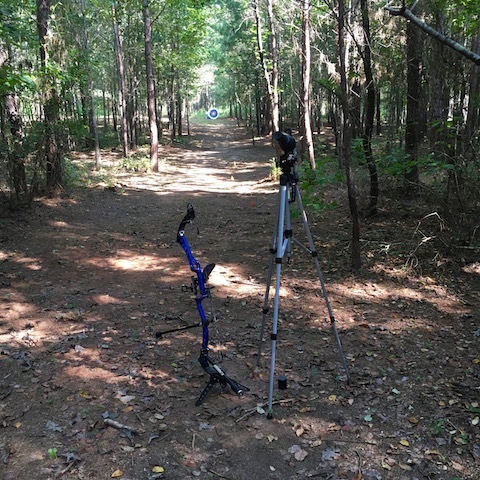 If you are a hunter or 3D archer running though the woods is another way to enjoy the outdoors without a bow in your hand. 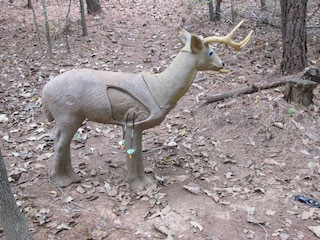 It is also a good method for getting you archery fitness on track. The gym is where I left weights. Monday is the “can’t miss” weight lifting day. My objective with weights is to protect muscle mass. I’m not trying to bulk up or body build. If there is room in my schedule I’ll hit the gym again on Wednesday. Wednesday is a low priority – Monday is fixed. Of course there are weeks when the schedule needs to adapt. Travel sometimes interferes with training plans. Where I know travel is on the calendar I make adjustments for rest days. Today, I needed to make an adjustment in the afternoon I ride a bike. Cycling is my second cardio session. Cardio is running in the morning and cycling in the afternoon. Twice a day, morning and afternoon I’ll practice archery. Plans today got a bit warped. Cycling had to be eliminated. There were simply too many unplanned interferences. One thing did remain constant – how badly I shoot after weight lifting. Morning practice was decent. Because I dropped cycling I started shooting earlier than usual. Along with that came some real trembling arms. Trying to stick to a training plan isn’t always possible. Small changes can make a noticeable difference. Not having enough time to allow muscles used to lift weight to recover meant a bit less accuracy shooting. The hour or so I’d spent riding might have given my arms a longer period of time to recover. But, from experience, the archery practice after lifting weights is rarely a keynote session. On multiple occasions I’ve written about health and fitness. Part of that is to provide examples of how to increase your quality of life and maybe add some years to your life. There could be some unfortunate accident that ends mine too some but there isn’t much anyone can do to avoid unforeseeable events. 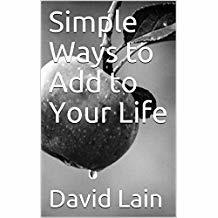 I go into methods of staying alive as long as possible in my book, Simple Ways to Add to Your Life, which is available in Amazon. On this site I basically share some of my activities. Included among them are running, archery and cycling. Wake up, and after stretching and having breakfast I trail run. Right now it is dark in the morning when I start running so I wear a headlamp. I am also wearing bright orange. 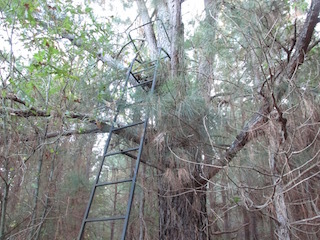 On my run course I pass 5 deer stands. So far, no hunters, but that is probably going to change soon. On the weekends I stay strictly on my land. During the week I hit other trails not on my land. 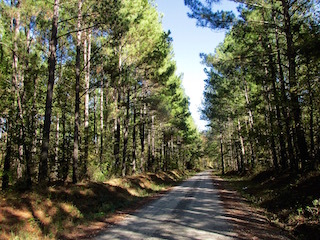 Those trails are locally known as renegade trails. 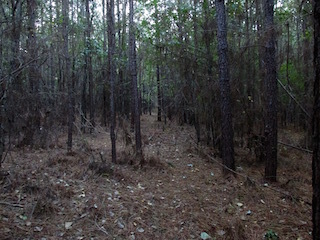 Meaning the trails have been cut through private land without permission. 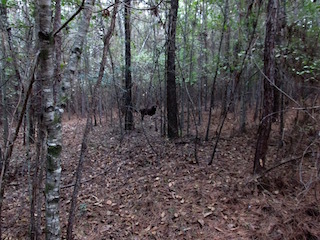 I understand there are hundreds of miles of renegade trails around Athens. Most were cut by mountain bikers. 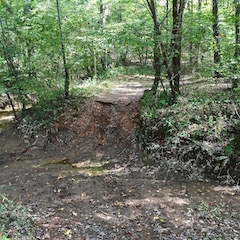 I can’t say who cut the trails leading off my property but I am using them. There are zero no trespassing signs. After running I move directly into archery practice. At the moment it is 18-meter practice. Today, rather than shoot another three-spot I took aim on a five-spot. The primary objective of today’s practice was follow through so I didn’t matter a lot whether I shot up a three-spot or a five-spot. Archery practice in the morning lasts an hour and a half to two and a half hours. From there it is usually lunchtime. I have a light lunch and almost always take a short nap. By short I mean 30 to 40 minutes. I always take that break lying on the floor. The trick is to be comfortable enough to doze but not so comfortable that I fall into a complete REM cycle. 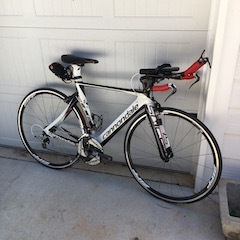 Once I get going again it is time to head out for a bike ride. Cycling in and around Athens is just about as perfect as it gets. I don’t take real long rides, only an hour or so. When that’s done it is back to the archery range for another hour to two hours. A couple of days a week I go to the gym and lift weights. I’m not trying to build body mass, just support the muscles I do have. It can be a grind. But, by setting goals, measuring the results and finding ways to keep things fresh makes this is a good system to become better at archery. When we lived in Pittsburgh and Cleveland, being Southerns, we had pretty much the same opinion of Winter approaching as projected in the “Game of Thrones.” There would be snow on the ground around October and there it would sit until March or April. In Cleveland there are two seasons, Winter and when they repair the roads. Pittsburgh road repairs seemed less – just less. When I write of cold I’m serious. When a Great Lake (Lake Erie for the geographically challenged) freezes that is cold. 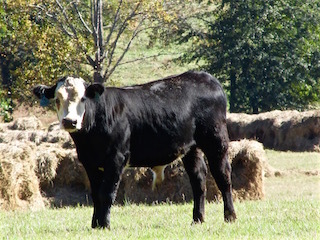 Aside from cold Winter brings shorter days. Down home, we finally made out of the ice, Winters are milder. 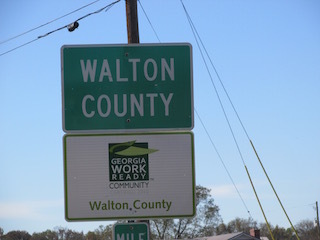 Georgia is a far cry from Ohio and Pennsylvania. The Winter is milder but the days still produce abbreviated daylight. 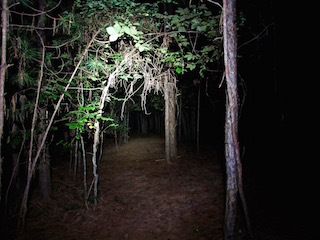 In preparation for darker evening and morning runs of the colder months I’ve illuminated the trails behind my house with solar lights along paths. That is fine in the evening when the lights are still powered. In the morning runs require a headlight to avoid trees. As Winter approaches (…its coming) the Fall in Georgia will be nice for running. Some runners look forward to the colder weather. Personally, I am just fine shuffling along in the heat. Although, Fall and Spring aren’t too bad. Pain. You hear about it all day long. It’s on TV, there are billboards for pain clinics, commercials for pain management pop-up on Facebook and there are ads in newspapers and magazines. It seems like there are a lot of Americans suffering and there is a lot of money to be made by selling drugs for pain relief. I wonder about pain. I’ve experienced pain. I’ve crashed while cycling, been hit by a car, broken bones, messed up a knee playing football, tripped while running and smashed into rocks, jumped and landed on a nail that went through my foot, jumped onto a steel rod that slid into my leg, and a host of other cuts and bruises that led me to the ER. There they’d patch me up and most times send me home. The steel rod that I jammed in my leg required surgery and a 3 day hospital stay before they sent me packing. A good friend of my is an ER Physician. He’s father to a pile of boys that play hard and frequently there’s an accident. He tells them, “You’re not having fun until someone is bleeding.” When they get hurt he fixes them and sends them to find the next interesting trauma. I suppose I have a high tolerance for pain. The physicians treating me always gave me a supply of drugs for the big injuries. I never took them. I maintain a different type of ache. It seems like I have been sore all my life. That is muscle soreness. Not the delayed onset of muscle soreness – I get that too. (Have it right now from racing a few days ago.) My soreness is that non-stop post workout feeling one gets from exertion. To be fair, I don’t really mind it. Being sore says to me I gave, whatever the training or practice I completed, a solid effort. You think, being an archer, it is my shoulders and arms that ache. You’d be correct. 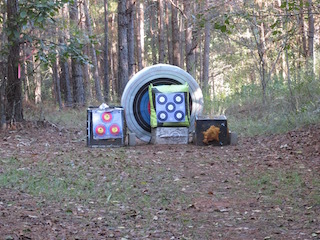 I shoot a lot, trying to catch the grand master archers that have decades of a head start. It makes me sore. But, it doesn’t end there. My legs and feet are achy from running and riding a bike. I’m also sore from hacking down trees with an ax and hauling them away. I’m sore from both play and work. (Both seem a bit like fun to me.) And to be honest, I enjoy the ache. I rest well and sleep solidly. When I consider people that don’t work their bodies I feel sorry for them. I’ve enjoyed hard play all my life. Picking up archery didn’t mean ending other forms of fitness training. They have become an adjunct to shooting. I’ve been sorer following a race. 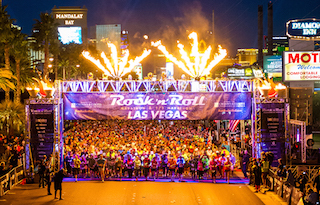 The most sore I remember being after a race was following the Las Vegas Marathon. I’ve run 3 of the Vegas marathons. The painful memory was from the first time I’d run that particular race. I was in Las Vegas for the American Associations for Respiratory Care’s (AARC) annual meeting. 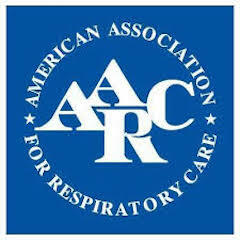 I’m a former respiratory therapist and attended the AARC meetings to earn continuing education units. During many of these meeting I was invited to speak on whatever research I was working on at the time. I’d also schedule meetings with other investigators during that week long Vegas event. The first of those meetings at that year’s congress was in the afternoon following the marathon. It wasn’t so bad, the soreness from the morning’s marathon or so I thought. Then, I needed to walk down several flights of stairs. Going up them hadn’t been bad. The return trip was a bit of a shock. Over the next several days I climbed down those stairs over and over. Each time my legs screamed at me. It wasn’t at all bad going up, but going down hurt for days. I think I was recovered by the time I needed to fly home from Vegas. There’s a marathon as the last leg of an Ironman. Of the several Ironman (140.6 miles) triathlons I raced none had me as seized up as that Vegas run. Then, I don’t remember needing to walk down stairs after any of them. On Saturday I raced only 5K. It was hilly. On Sunday when I started my morning run I noticed my legs were a bit sore. During the morning’s two-hour archery practice I felt the previous day’s race. 140 meters walk after each end. 12 ends and 2 ends for warm-up. 1920 meters of back and forth walking. It was rougher than I thought it would be. In no way did the DOMS (delayed onset muscle soreness) of the 5K rank among the top ten of post-race DOMS I’ve experienced. But, it sure made the back and forth 70 meter hikes to retrieve arrows a tedious chore. Author David LainPosted on September 2, 2018 September 2, 2018 Categories Fitness, RunningTags SportsLeave a comment on Okay, that hurt!